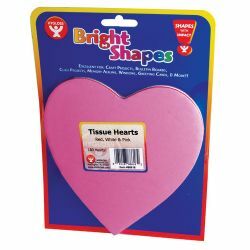 Tissue paper heart shapes are perfect for classroom decorations and kids crafts of all kinds. Each package contains 180 6-inch hearts, 60 each of red, pink and white. 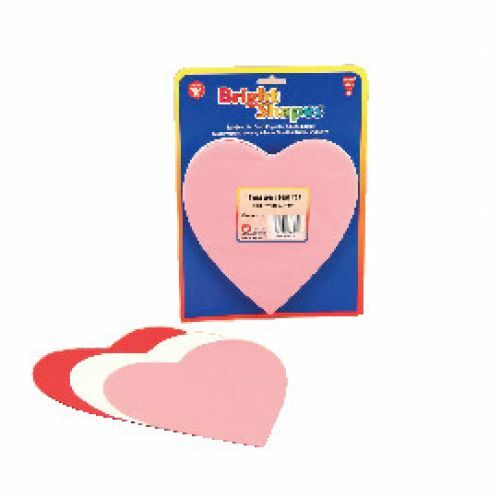 Valentines and Mothers Day crafts come alive with these red, pink and white tissue paper hearts. 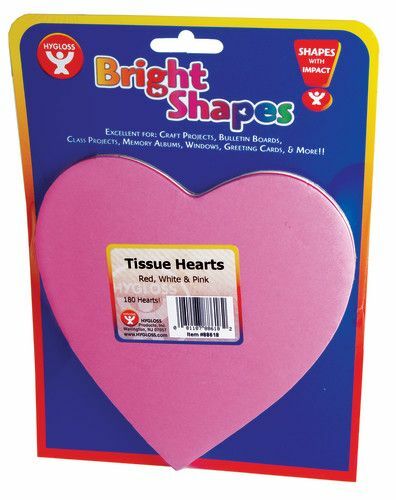 Use tissue paper hearts for making beautiful cards, centerpieces, flowers, decorations and more.